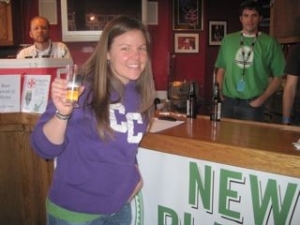 As a coming-out-of-sorts, the New Planet Beer Company was proud to participate in the 1st Annual Boulder Brew and Music Fest, April 1, 2010 at the Fox Theater in Boulder, CO. Hundreds of eager beer connoisseurs and music junkies enjoyed small samples of Tread Lightly Ale as well as samples from some of the industry leaders including New Belgium Brewery, Deschutes Brewery and Stone Brewing Company. The day was topped off with Colorado musical acts Josh McWilliams, My Own Device and Vices I admire. Not only did the Brew Fest provide us a great opportunity to converse with current Tread Lightly Ale drinkers, it was also a great way to introduce people to their first gluten-free beer experience. Our favorite quote from the first timers was, “It really tastes like beer!” In addition to conversing with the event’s patrons, the venue was ideal for meeting our industry leaders and colleagues who took a liking to our presence and our beer. Invaluable feedback and guidance was passed our way just as freely as we provided beer samples. All in all, this event can be chalked up as a success and we’re excited to participate in future brew fests this summer and fall. We look forward to meeting you! 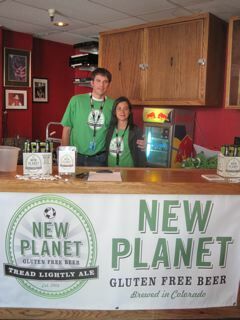 In support of our friends with Celiac Disease, New Planet Beer conducted a tasting at the Boulder County Celiac Chapter’s monthly meeting on April 21st at the Left Hand Grange Hall. The agenda included a great discussion on travelling gluten-free and sampling the delicious gluten-free pizza and pretzels from Its All Good- Gluten Free Patisserie, an up-and-coming gluten-free bakery in Boulder, CO. And what is a perfect beverage for pizza? We know, New Planet’s Tread Lightly Ale. 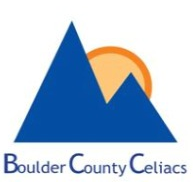 The members of the Boulder County Celiacs Chapter seemed to agree with us as complements on Tread Lightly’s taste and drinkability flowed freely. Drew Carrol even pronounced, “Out of all of the gluten-free beers, New Planet Beer is my favorite!” We’d like to send a big “thank you: to the members and organizers of the Boulder County Celiac Chapter for hosting us. Watch what Tiffany Jackobowski, President of the Boulder County Celiacs, has to say about Tread Lightly Ale.